There's been a lot of talk lately in the Bigfoot world about whether or not Bigfoot needs our protection. There is even a petition to protect Sasquatch as an endangered species, that was recently drawn up and put on change.org. There is no way to tell right now how well Sasquatch are doing because we have no data points or evidence available to rely on that supports this assumption. If you look at the current rate of deforestation, habitat encroachment, and increase in human population then it's obvious the Sasquatch's habitat is disappearing at an exponential rate and their pathways from population to population are being cut off which could also cause geographic isolation and then extinction. Just look at the populations of other North American large mammals like moose, bear, cougar, etc. 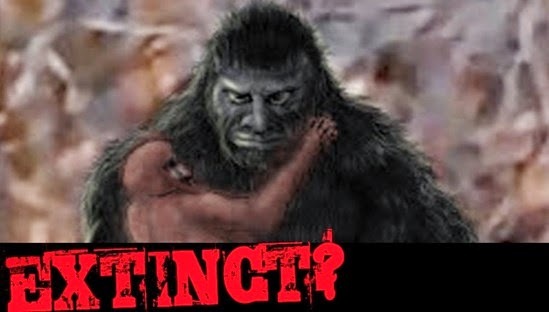 Strictly examining the current trends, information, and data points we do have on known species it would only make more sense to think that Sasquatch are probably not doing well in those regards. I mean, show mean any kind of evidence to the contrary to support the belief they are doing ok. So if collecting one specimen will allow for scientific recognition, which will then relieve the stigma of the subject, allow for conservation, make possible the funding of comprehensive studies by professionals who have the experience, training, technology, and knowledge to find and study the species with proper funding, and subsequently save the entire species then I can rationally, logically, and morally support the decision to take the shot and collect that specimen. Especially when not doing so may very well hold the potential of allowing the species to go extinct due to the current rates of deforestation, habitat encroachment and human population increase. DNA dart guns and tranquilizer guns are also much less reliable in regards to their function compared to bullets. They travel at vastly lesser speeds than bullets and are much less accurate. Utilizing a DNA dart gun or tranquilizer dart gun would statistically take longer to accomplish the goal. And when we are speaking of deforestation, habitat encroachment, and human population increase on their current scale and rate of exponential increase then the sooner the type specimen/holotype is collected the better the chances for the survival and potential thriving of the species. Tranquilizers don't drop an animal immediately. This allows for the chance that the animal can escape before it can be tracked down. And if one calculates the dosage incorrectly then it could have less effect than anticipated or even kill the animal (in that case you may just as well shoot it). Either way, both would statistically take longer to accomplish their goal and again time is of the essence.